It'a hard to believe the end of March is almost here. Perhaps it is a sign of my age, but time seems to go so much faster now, the days and weeks of 2016 already melting away as rapidly as the snow on those days when we have had glimpses of spring. And as the end of March approaches so too does the deadline for the next edition of NorthWord magazine - an edition for which I happen to be the guest editor. I wrote in this blog before why I had chosen the theme I selected for the issue: "Climbing the Mountain." Submissions, the name of their author removed as is the practice of NorthWord to ensure the focus is on the piece and not the person who has written it, have already been rolling in and it seems the theme I chose resonated not only with me. The offer to serve as a guest editor for an edition of NorthWord was an easy one. I have been submitting to NorthWord for some time now, and it has become the place where my more personal and introspective pieces of writing end up, as they don't quite fit with my other writing outlets. You see here in the blog I am McMurray Musings, a persona and not a person, created long ago when this blog began. In most of my other work I am the freelance writer, focused on the topic or the tale, and preferably ones not about me but about others instead. In my professional work I remove my "self" entirely of course. And so it is in NorthWord that you find the real me, because it is the place I have found where I can express the inner thoughts and feelings that do not fit anywhere else, It is perhaps the place where I have allowed myself, as a writer, to be the most vulnerable. I suppose in some sense that is part of climbing the mountain, too. As someone who has been fascinated with extreme mountain climbers for her entire life, I find I am always interested in the routes we take to climb our mountains. There are so many different ones, just like those faced by those who climb the world's extreme peaks, each one with positive and negative facets. And in the end we, just like those climbers, choose our routes, put on our packs, and begin the climb. Mountain climbers are like writers in one key way: they come back from their journey with stories to tell. It's part of the thrill, really, not just climbing the mountain but sharing the adventure with others, the moment when we reached the peak or the moment when we knew we never would and turned back instead. Just like mountain climbers, writers have a need to tell their stories, to share them - and that is where outlets like NorthWord come in. I am grateful to have had the opportunity to both contribute to NorthWord and to now serve as the guest editor of this next edition. It has been a chance for me to grow over the years as a writer, and now to experience serving as an editor. I will always be grateful to have had a place to be not McMurray Musings, not the "freelancer", not the "communications professional", but Theresa, the person who has written in NorthWord of her parents and of her divorce, of her heart opening and her heart breaking. This is what NorthWord has been to me. It has allowed me to share the tale of climbing those mountains. The deadline for submissions is midnight on March 30. It is not too late to share your tale of mountain climbing, whatever your mountain has been. Perhaps you have never written anything before, and perhaps you have. But you have a story - we all do - and this is your chance to tell it. Please take the chance - and climb the mountains with me. There have been times over the past 15 years when I wondered why, exactly, I was choosing to continue to live in Fort McMurray (or, as I call it in the title, “The Mac”, which is a nickname borne from affection - if it bothers you then perhaps you take the formal name a wee bit too seriously, as nicknames can be all about fond sentiment). This wondering of mine often happens during the dark, dreary days of winter. The soft white snow, which seemed so beautiful in December, fails to inspire the same feeling in February. It seems the cold is never-ending, and the snow will never stop. 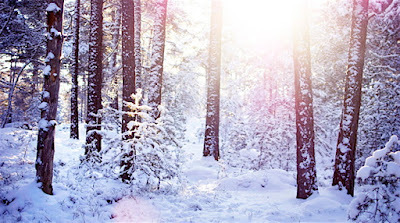 And then there is suddenly a day, when the sun begins to shine and the snow is glistening in a certain way. I can hear the drip-drops of snow turned liquid outside my door, and I see a difference in the way the birds are behaving. They feel it too. There may be more blasts of snow, more gusts of wind and more cold nights, but that day holds the promise of warmer weather to come. Those are the days that remind me why I live here, despite the long dark nights of winter. It isn’t just about the seasons, either, but the continual promise of this community. We have dark times, but there are always those moments, the glimmers of hope, that remind me of our collective future and better days ahead for all of us. It’s why I choose to live here in Fort McMurray. It is a choice I have made not once, but time and time again whenever an opportunity to leave has presented itself. Fort McMurray, Fort Mac, the Mac – it gets into you somehow, making you realize that while it is not perfect it is in the imperfections that you find the true beauty. Today the sun is shining, and the snow is glistening. We have been through another winter, and we have seen some hard days in the last year. There will, undoubtedly, be more ahead, blizzards of both the winter and economic variety. 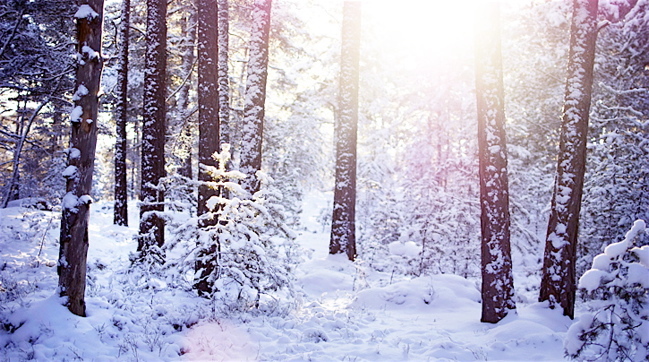 But days like today, days when the sun is bright and the snow glitters, remind us there will be good days ahead, too. We just have to keep the faith, and know that they will arrive. Better days are ahead. There is no doubt. For a very long time, March has not been a kind month for me. Three years ago in March, one of my favourite aunts, Auntie Rose, passed away. Seven years ago - on March 14 - we buried my mother. Ten years ago on this same day my father lost his battle with cancer (oh, the irony of losing them both in the same month, just three years apart, and being back in that cemetery not only to lay flowers at his grave on the anniversary of his death but to place my mother there beside him - how that twists the knife in my heart). And then, this past week, was the almost overwhelming news that a beloved community member - and my friend - had passed away. Perhaps it is no wonder March 14 has become a day of reflection for me. For many years it was a day of distinct and keen loss, still sharp and fresh, but over time as the pain has dulled I learned to take this day to remember not only the lessons each and every person I have lost taught me, but what I learned from losing them. When I lost my father to his long, slow and painful battle with lung cancer perhaps the most important thing I learned was during his final days. As he lay in palliative care, his mind still sound and active even as his body was failing, I learned what matters in the last days of your life. He spoke of his children and grandchildren, brothers and sisters, friends and memories they shared. What he never spoke about was his work, not from when he was a farmer, not from when he operated a grain elevator, not from when he worked in building maintenance when we moved from the country to the city. He didn't talk of the jobs he accomplished or the ones he left unfinished. All of those fell away, because in the end? They didn't matter. What matters in the end is those you love and those who love you, not the work you did or did not do. Losing my mother was a very different experience. A phone call from my sister, the news of an "incident", and just a few hours later I was on a plane headed to the city I grew up in. The conversation I had had with my mother just a few days before would be our last, even though neither of us knew it. She never regained consciousness and she died in the ICU as I held her hand tightly, overwhelmed by how much I loved this woman. I didn't know our time together would be cut so short - she was in relatively good health despite her age, and I was complacent. I wish I knew then what her death taught me. Life is fragile and uncertain. Every day might be the last, and every conversation might be the final one. Make sure you say the things you want to say, the words of love and gratitude. Never take the future for granted, because when it is too late, it is quite simply too late. Ah, Aunt Rose. She was a true Alberta Rose. I recall admiring her as a child for her teased up, jet black hair, something I now realize was rather Priscilla Presley-esque. She might have been a rural girl, but she had an air of glamour around her too, with good taste in fashion and make up. She was opinionated and smart, too, a potent combination for someone like me to be around. Stay true to who you are. Aunt Rose never lost the jet black hair or the interest in fashion, and she remained opinionated and vocal for her entire life. She was an Alberta Rose, with a soft and feminine exterior and a solid steel interior. It is okay to be both. The freshest loss of course is that of Vilia Tosio, someone I came to know in this community as our paths crossed often and we forged a friendship based on mutual respect and admiration. Vilia was never afraid to be bold, to say what she believed, and to advocate for those who needed it. For Vilia those in need were the mothers and infants in our community, and the love and attention she gave to them was returned in abundance. She impacted our community, thousands of lives, and people like me, who watched her with quiet awe as she did what she did without fanfare, applause or, often, recognition. Do what you do because you love it. Do it because you believe it needs doing. Do it because you can do it, and because you can be the change you want to see in the world. And do it even when no one is watching, because you are not doing it for applause. In the end, you are doing it for the ones it will benefit, and because you know it is the right thing to do. There are many more lessons I have learned from each of these people, and in the case of my parents they are, of course, the reason I am who I am today. A friend who read one of my Facebook posts this past week sent a message saying my parents would be proud of me, and perhaps they would be - but as I sit here today I think instead of how proud I am of them, of Rose and of Vilia, and how very grateful I am to have had them in my life at all. Loss is painful - there is no changing that reality. But it is painful because of how much the people we love mean to us, and what they have meant in our lives. I would far rather experience the pain of their loss than saving myself from it by never having known them at all. How lucky I am to feel this sense of pain, because it means I had the chance to know them - and now I carry part of them with me forever, in the things they taught me. For a very long time, March has not been a kind month to me. 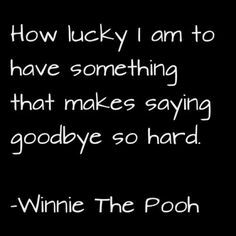 But as I grow older I focus less on the unkindness, and more and more on my gratitude for a month - and a life - that has been full of incredible people and lessons learned, sometimes even through tears. Any sane person knows you should never, ever check the “available for adoption” pages at the local SPCA if you are a pet lover. Generally speaking I have fairly strong resistance to these pages, but last month a photo and description caught my eye as the cat featured was remarkably unusual. “Catya”, as she was then called (sigh, the inevitable cat pun) was listed as a 5 year old Siberian Forest Cat. Now, Siberian Forest Cats aren’t exactly common. In ten years working in vet clinics I only ever saw one, and kittens of this breed can fetch an astonishingly tidy sum. These cats are also known for their personalities, and so I was almost in a daze as I found myself in my car, which seemed to be driving us to the Fort McMurray SPCA. And there she was in the cat room, holding court like the feline royalty she is. 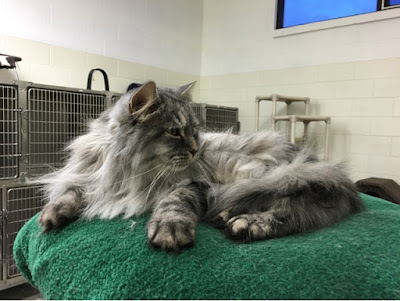 Soft meows and ferocious purrs emanated from her perch, where she would allow admirers to touch her (but not pick her up, as that is pushing the limit of her highness’ patience I quickly learned – admire the cat, yes, pick up the cat, no). I texted photos of her to a dear friend and to the Intrepid Junior Blogger, both of whom asked when I was taking her home. 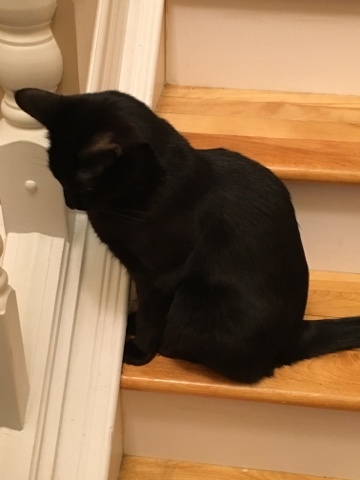 So of course I filled out the application, and within a matter of days “Catya” – now renamed Tsarina Nikita as befits the little monarch – came home. Now, lest you forget I do have two other resident cats, both males and both quite comfortable with the status quo. Sirius and Smaug are the Felix and Oscar of the feline world, with Sirius being the slightly neurotic but fundamentally very orderly Felix. 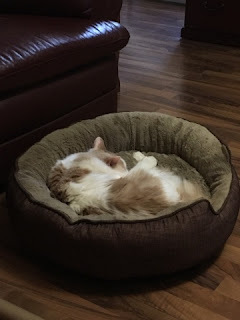 Smaug, who has gained an impressive 6 pounds since his arrival home from the SPCA (an “unsustainable” weight gain, his vet admonishes me) is the dishevelled, somewhat slovenly but deeply lovable Oscar. These two have a remarkable relationship which involves all out occasional bouts of kitty MMA in the bathtub, slow seething running battles of paw swipes and teeth-filled chomps and deep and intense grooming, cuddling and sleeping sessions which run for hours. They are brothers in every sense, completely different in physical appearance and personality but completely devoted to each other – and then the Tsarina arrived. I think they were, at first, stunned. Neither of them would look at me for a couple of days, as they both seemed to know I was somehow responsible for this new family member. 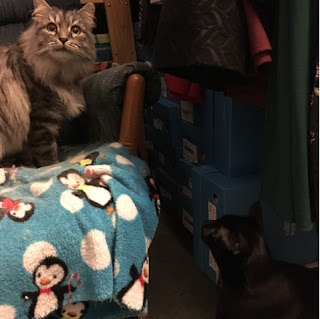 They were curious but in a “when is she leaving kind of way”, planting themselves in front of the slightly open laundry room doors where she was safely housed on the other side. 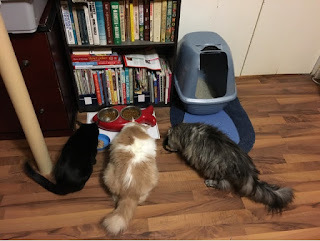 They were immediately bitter that she ate Fancy Feast while they were doomed to food purchased at the vet clinic (very expensive food designed to keep Sirius from developing urinary tract infections and peeing in the sink, as once has happened). When I began to allow them to mingle with each other one thing became quite clear: Tsarina viewed the boys as street thugs, little ruffians not really worthy of her time. She is a very affectionate cat, but her level of interest in the boys has so far settled at the point known as “tolerance”. 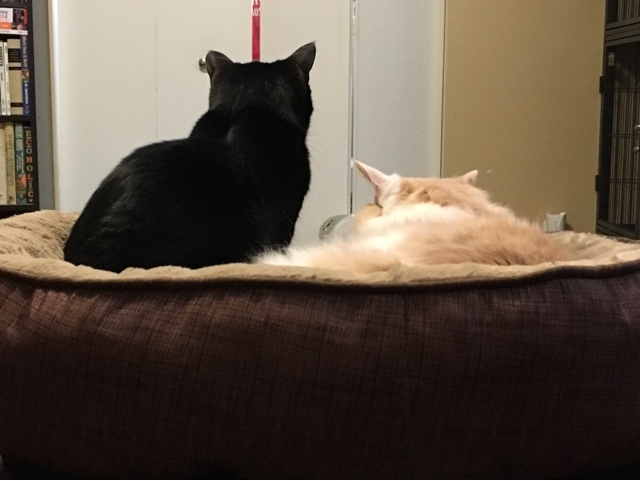 If they come too close there is a small royal hiss, and when Sirius approaches her she will walk away while quite deliberately hitting him in the whiskers with her long fluffy tail. 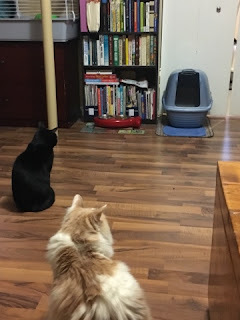 Other things the Tsarina does not like includes the family dog (poor Cassie – this makes 2/3 cats who are terrified of her, and Sirius just beats up on her) and the ferrets (these she finds completely baffling and gives a very wide berth). She does love treats, lousy grocery store cat food, being brushed and me. The one thing all the cats have in common though is their place of origin – the Fort McMurray SPCA. I don’t know Sirius’s story, but it is evident he was at least partially an outdoor cat as he still yearns to escape outdoors on occasion (and once in awhile succeeds, only to be distracted by things like leaves and snow and quickly recaptured and returned to prison – his name Sirius Black fits him well as I suspect he sees me as a Dementor who holds him against his will some days). 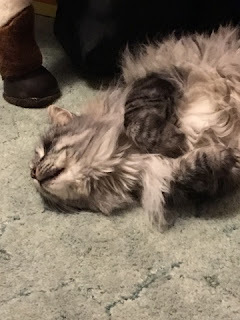 Smaug was obviously loved at one point as he doesn’t even like the outdoors, and an open door holds no interest for him whatsoever (but he will throw himself at anyone who comes through it, like when he greets the pizza guy by rolling on his back in his “rub ma belly” pose). Both Sirius and Smaug were picked up as strays though, and never reclaimed by their owners, a fact which both hurts my heart and makes me happy because it meant they were there for me. Tsarina had a family, and apparently when it dissolved she and her sister were surrendered to the SPCA, and her sister was quickly adopted while Tsarina, a bit older, had to wait a bit longer. Regardless of how they ended up there, the Fort McMurray SPCA provided my trio with a safe place to be until they could find a new fur-ever home – which in their case just happens to be with me. My little gang of three – the princess and the thugs – are only a small number of the thousands of animals the SPCA helps in our community every day. I am deeply grateful to them for the work they do, and even more I am profoundly thankful that I now have this little furry family. And if you happen to be looking for a new furry family member, I recommend the Fort McMurray SPCA, where you can find a new friend - and become their fur-ever home. I think it would be fair to describe me as a skeptic. Once upon a time I was quite a staunch skeptic, unwilling to pry open the fortress of my mind to even consider believing in things that seemed doubtful, but in the past few years some experiences have softened the walls of the fortress. There was the time I realized that massage therapy is not simply a hedonistic pleasure but can in fact be critical to health and well-being (and why I am now faithful about my monthly deep tissue massages - insert shoutout to my beautiful and talented massage therapist Kayleigh at Achieve Wellness!). There was the time I bought an essential oil diffuser and oils from Saje, completely dubious about their potential but desperate as I was having trouble sleeping, and discovered that on nights when the diffuser was used I slept well, while when the diffuser was off so was my sleep pattern. And then there was the discovery of adult colouring books, something I laughed at initially but that has resulted in a small stash of books and crayons, perfect when I need to think of something other than deadlines, press releases and paying bills. And so it was that this journey has led me to be more open to new ideas and experiences, like when the lovely Heather Thomas sent me a message asking if I had ever tried CranioSacral Therapy. Now, I probably would have declined had the offer come from anyone but Heather, as I was deeply doubtful of the potential value of this practice, at least as it relates to me. Heather however is the kind of gentle soul you only encounter rarely in this life, and so I said yes even when my skeptical mind was chiding me. That would be how I ended up at Heather's home and under her attentive care one evening. Unlike the massage therapy I have come to know well, this was therapy in which all my clothing stayed on while I laid flat on a massage table. As opposed to the deep tissue massages to which I have grown accustomed, this was about light touches. And it was about a connection between the practitioner and patient, too. Heather could tell my body was dubious as we worked through the stages of the therapy. What intrigued me though was that she was attuned to everything I was feeling, even accurately assessing that I was feeling pressure in my sinuses at several points, something I did not tell her but she somehow detected. What was most interesting though is there were things I had not told Heather, and that I had not expected would be addressed through this unusual therapy of which I had been so doubtful. I had arrived that evening with the beginning of a headache, a storm cloud gathering just behind my eyes. I had been having a number of them recently, likely related to my eye disease and perhaps even eye strain due to seeing the world through only one eye. I could feel it forming and I had almost cancelled the appointment, but I decided to carry on to see if the headache would lessen or worsen with the therapy. Even more than that though I had arrived in Heather's home with a case of exhaustion that my essential oil diffuser could not seem to cure. For over two weeks I had been experiencing nightmares, ones of the kind I had not endured since childhood (or maybe ever) and that were increasingly robbing me of sleep as once I had awoken from them there was no settling back into slumber. The nightmares were dark and frightening, but the most troubling part was I could not remember any details of them, just flashes of feelings of fear. For over two weeks they had plagued me, and I was, to be honest, becoming terrified they intended to be permanent residents in my head. But as Heather was performing the therapy, as the series of light touches she performed moved around my body and began to centre on my head, the most extraordinary thing began to happen. The dark storm cloud in my mind, that headache that had been forming, grew tighter and smaller, almost like a tightly wound ball of black yarn. And then, suddenly, I could feel it leaving through the top of my head and disappearing, just gone - and so was the headache. After the therapy I felt not only refreshed but renewed in a way I could not quite explain. I felt slightly light-headed, and the headache that had been building all day was completely gone. I thanked Heather and headed home, and before long was in bed, expecting what had become my usual 2am wake-up from a nightmare. Except that I woke up the next morning at 7:00 am when my alarm went off - no nightmare. And the most astonishing thing is there have been no nightmares since, a streak of two weeks of nightly terrors ended it seems by the very practice I had been so skeptical about. Was that black ball of yarn my headache or was it something more? When it disappeared did it take my nightmares with it, whatever deep dark "thing" it was? The nightmares had appeared out of the blue with no apparent cause and I could not tell their origin, but I know one thing: they stopped when I saw Heather for CranioSacral Therapy, an outcome I certainly did not anticipate and still find hard to believe, except that I lived it. As a skeptic it can be hard to accept that we might have misjudged or prejudged something. I was wrong on massage therapists, essential oils, colouring books and it seems I was wrong about CranioSacral Therapy too, as there is now no doubt in my mind that there is a benefit to it. Even while my mind and body were doubtful and resistant to the therapy it was in some way working - and working well enough to cure the nightmares that had gotten to the point where I was finding myself dreading sleep. So, even if you are a skeptic like me I hope on occasion you take a risk and step out of your comfort zone. I would suggest CranioSacral Therapy is a good one to try, particularly with someone like Heather who can talk you through the process so you understand what is happening and help you to overcome your own skepticism. Sometimes our biggest barrier is, in fact, ourselves. Go with an open mind, and see what happens. After all, isn't that what life is about? What Does it Take to be The Good Survivor? When Tito Guillen, director of a new local short film, contacted me to offer an advance screening of the new project I leapt at the chance, of course. One of the primary qualities necessary to be a decent writer is a deep and relentless curiosity about everything, but especially about the things your friends have been up to. So when he sent me the link, I watched the film intently. Not once, but at least three times, because once the curiosity was sated I found so much more I needed to grasp. "The Good Survivor" is the local film that won a $10,000 Telus OPTIK grant thanks to a voting process that allowed members of the public to vote for films they wanted to see funded. The concept in itself was intriguing, given a cast of locals like Steve Reeve Newman of Mix 103.7 FM radio fame and up-and-coming young performer Dylan Thomas-Bouchier. Both of these individuals are gifted actors in their own right, but I was intrigued to see how they would work together, and how they would work Dylan's cerebral palsy into a screenplay about a challenging post-apocalyptic world - one filled with zombies. Of course zombies are quite popular right now, given television shows such as The Walking Dead that have taken zombie culture to new heights. But The Good Survivor is less about the zombies and more about two very different characters who come together in a world filled with them - and one of the characters has what we have long traditionally viewed (and even called) a handicap. I have had the opportunity to speak to Dylan about the filming, and I know it was an arduous ordeal for all of the cast and crew given that it was filmed in the winter and they were exposed to the elements for long periods of time. For Dylan it was on occasion particularly challenging, which is perhaps what has given rise to an astonishing performance that so captured me I had to watch the short three times to let it sink in fully. This is not to diminish the roles played by anyone else, including the talented Steve Reeve Newman who looks a bit Grizzly Adams bear-like and who evokes the crankiness one would expect of someone who has been fending off hordes of zombies (and carries a secret inside them too). The supporting roles are equally well portrayed, but there is no doubt young Dylan steals the show as he fleshes out a character that is not only more than his "handicap", but is also perhaps even far more interesting and compelling because of it. The short is filmed so well, particularly given the inclement weather conditions, and the directing is crisp and precise. The special effects are suitably gory, and the storyline is thoughtful as it explores what it takes to be a "good survivor", which in the end may not be about traditional survival skills at all. The short film has now had a few public screenings, and even more people have had the opportunity to experience what I was so fortunate to get a sneak peek at. The reviews continue to be strong, and there continues to be interest in both the project and a very unique storyline that didn't shy away from the reality of "handicaps" but instead stared right into them. This week The Good Survivor enters into a new phase of voting. You can view the film online and then you can vote for the project. A top winner from Alberta and a top winner from BC will be selected through a combination of votes, social media presence and a jury of judges to go to the next level of mentorship through Telus / NSI and an invitation to the Banff Media Festival to further the development and careers of the filmmakers. The support of the community continues to be critical to ensuring The Good Survivor not only attracts new audiences, but furthers the development of a group of individuals who have already produced a remarkable short film, made in challenging circumstances and featuring a storyline that is not only unusual but compelling. Over the past few years the art of filmmaking has truly taken off in our region. Thanks to individuals such as those involved in this project, Wood Buffalo and Fort McMurray are becoming part of the Canadian filmmaking presence, an amazing achievement that has occurred in a very short period of time. It is entirely due to thoughtful, professional products like this one, which marry a popular concept (zombies) with a solid storyline that explores what being a good survivor really means, and the true nature of our handicaps, whether they are physical or emotional. I sincerely hope you will take the time to view the film and to vote for this group of filmmakers and this project, one which proudly reflects our community. Watch the film, and then vote to ensure this group of local filmmakers has the opportunity to further explore their craft while also representing our community on a national stage. Help The Good Survivor to thrive and move onto the next step - and take pride in fellow community members as they follow their dreams. You can watch the short in the video below, and just below that is the link to vote for this project. If like good short films, if you love people who have passion for their craft and if you want to see others in our community have the opportunity to attain their dreams and goals, vote now for The Good Survivor - because this group of filmmakers? Well, they have shown all of us just what it takes to not only survive, but rise.